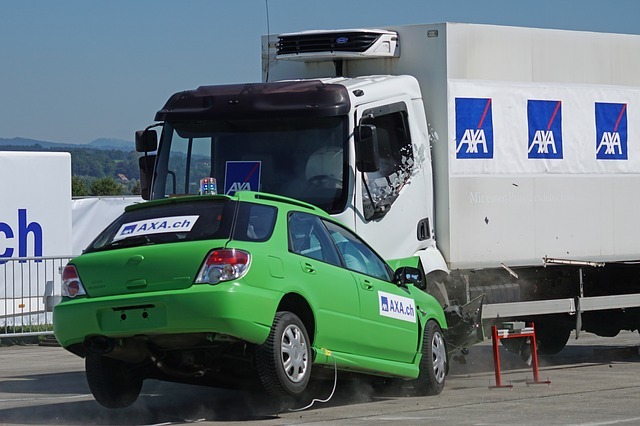 It is an unfortunate fact that most fatal car accidents involve passenger cars. However, fatal accidents can also involve commercial trucks or semi-trucks, pick-up trucks, vans motorcycles, and bicycles. When a loved one’s life is lost in a fatal accident, the surviving family members may pursue a wrongful death claim against the driver that caused the crash. To successfully assert a wrongful death claim, the claimants must prove that the other driver’s negligence caused the accident and resulting death. This is required regardless of the of the kind of vehicle involved— whether it was a passenger car, pickup truck, commercial truck, or motorcycle. However, if the other driver was operating a car, truck or delivery van for an employer, then the surviving family members may be able to hold the employer liable as well. For example, if the crash and resulting death was caused by a commercial truck or eighteen-wheeler, the driver and the truck carrier company may be held responsible. There also may be other parties who may be liable, including the truck maintenance company or cargo loading company if their negligence and contributed to the cause of the crash. In addition, if the vehicle had a defective part or piece of equipment that caused the crash, the manufacturer, distributor or supplier of that defective part may be liable. Given the complexity of these cases and the need to conduct a full and prompt investigation, family members of the deceased should consult with a wrongful death attorney as soon as possible about their rights and potential remedies. Our Kansas City fatal car accident attorney stands ready to walk with you – step by step – through this difficult time and provide answers, guidance and support. Please contact our law firm for a free, no-obligation consultation at 816-203-0143. The person who may file and pursue the wrongful death claim depends on state law and an individual’s family circumstances. For example, a Missouri wrongful death claim may be filed by certain family members, such as the surviving spouse, children, or grandchildren of the deceased. If no one meets those qualifications, a surviving sibling of the deceased may file the wrongful death lawsuit, and if there is no surviving sibling, then a descendent of a surviving sibling may pursue the claim. Damages in a wrongful death case and generally awarded by a jury. Those who may be entitled to recover damages include the spouse, children, siblings, parents and others who may have been financially dependent on the deceased. loss of familial (parental or marital) care, advice, attention and support. There is no set formula for calculating non-economic damages in wrongful death lawsuits. Various factors are usually considered, such as the type, nature and closeness of the relationship between the decedent and the claimant and how the death and loss of the family member impacts the life of the claimant. State laws in Kansas and Missouri also impose caps or limitations on the amount of non-economic damages that can be recovered. Wrongful death claims in Kansas and Missouri are governed by certain "statutes of limitations." Statutes of limitations are legal deadlines. If you do not file a wrongful death claim in court before this deadline passes, your right to compensation will be barred. In Kansas, a wrongful death claim must be filed within two years from the date of death. In Missouri, a wrongful death claim must be filed within three years. However, if the death resulted from medical malpractice, you must file the case within two years of the death. In many cases, the type of vehicle may not mean much to the family who has lost someone they love. However, the types of vehicle involved in the accident can make a big difference in how the case should be pursued, what parties may be responsible and how much recovery and what resources are available the claim. Wrongful death cases are complex. Whether it was a passenger car that ran a red light at an intersection in Kansas City or a semi-truck that rear ended a car on I-435, it’s important that the surviving family understands all options that are available. Whatever you do – do not delay in getting solid legal advice from an experienced wrongful death attorney. Our Kansas City wrongful death attorney can help answer your questions, evaluate your case and act quickly to preserve and gather the evidence needed to prove who was negligent. Call our law firm today at (816) 203-0143, for a free no-obligation consultation.